Generating referrals has always been, and always will be, an essential part of any legal practice. People are four times more likely to buy when referred to by a friend or colleague they trust. This means that referrals leads are some of the warmest you can get - but it’s not always easy to attain them. Clients may not think to refer a friend or they may not be properly incentivized to do so. If you’re not seeing the volume of referrals you’d like, we’ve created a guide to help you get there. The first step to increasing referrals is to create a relationship with your clients. In order for a client to want to refer you in the first place, they have to feel like they really know you, know your business and have a personal connection to you. There are a few things you can do to create this relationship. First and foremost, be sure to be positive, upbeat and honest when working with your clients. Avoid setting unrealistic deadlines, and be sure to notify your client right away if a deadline needs to be pushed back. You should also be sure to answer calls and emails right away. This will make clients feel that they are well-supported, which contributes to an overall positive experience. A consistently positive experience with your firm will make clients much more likely to recommend you to friends and family. Another way to boost referrals is to ask for them. Once you develop a relationship with your client, let them know that referrals are important to you and your firm. After a meeting or at the end of an email you can casually add in a quick, “If you know anyone who could use our help be sure to send them our way!” This lets them know that you are looking to expand your client list without being too pushy. You should also be sure to choose the right time to ask for a referral, such as at the end of a successful case. This way, a positive experience with your team is still top of mind when you ask for referrals. After a client refers someone to your firm, it’s a nice gesture to keep the original client in the loop with their referral. You don’t have to reveal too many details - sending a quick email to thank them and let them know you’ve set up a time to meet with the client they referred will suffice. This communicates that you are grateful for their business and makes them feel good knowing that they helped both a friend and your firm. Another way to make clients feel good about referring a friend to your firm is by offering an incentive for each client they refer to you. Although many firms offer incentives for referrals, some make the mistake of not properly advertising it. 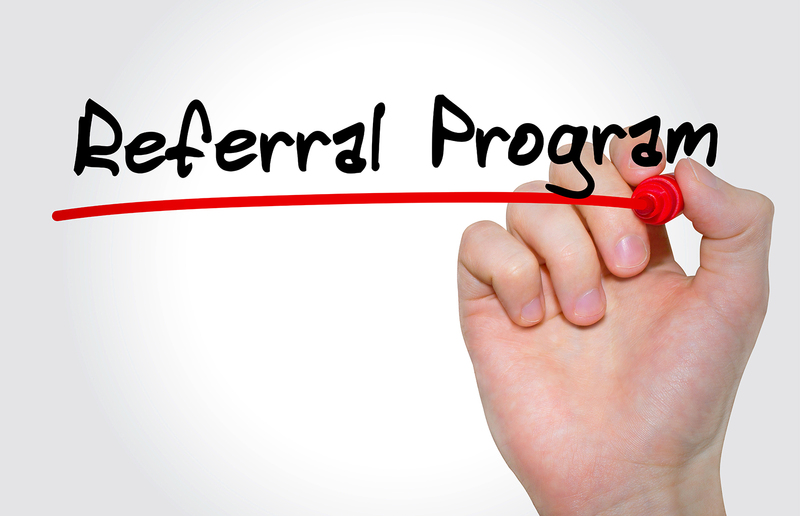 It’s important to have an advertised referral program because it raises awareness of the incentives available and keeps your firm top of mind when it comes time for them to recommend a firm to a friend. You can ensure visibility for your referral program by leveraging your website, newsletters, blog posts, social accounts and other digital media. For example, creating an engaging landing page on your website explaining the benefits of your incentive program is a great first step. You can repurpose this page throughout other forms of media, such as linking to it in social media posts or including it at the end of emails. The more awareness clients have, the more likely that they’ll remember to refer someone when the time comes. Once you’ve received a referral from a client, your work is not over. 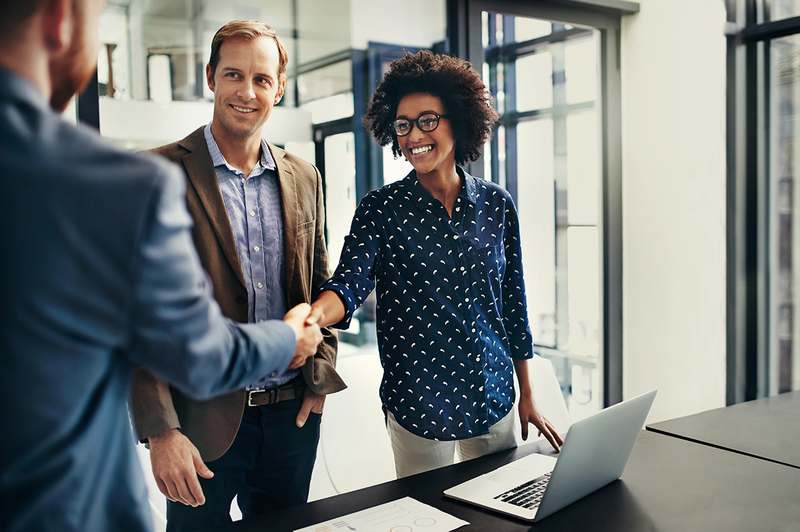 It’s imperative that after attaining a referral, you continue to provide top-notch service to both your clients and the people they’ve referred. Hard work speaks for itself when it comes to referrals; when your clients see you working hard and doing a great job they will naturally want to refer more business to you. What other tactics to you use to encourage legal client referrals? Share with us on Twitter or LinkedIn! Co-branded products, services and experiences can be an effective method to connect with consumers in a more meaningful way, while elevating both companies and giving them more power in each of their respective markets. What was once a popular trend has turned into an essential piece of the marketing puzzle, and brands are looking to strategic partners to help drive growth. Targeting today’s consumers has turned into some kind of giant, convoluted digital puzzle. You need to ensure that every piece of your marketing meets the needs of your target audience – creating a big picture that’s enticing enough to drive your audiences to act.